Unleash God-given dreams through audacious prayer. 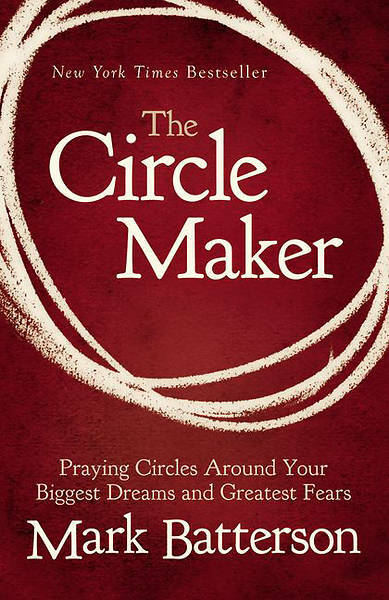 According to Pastor Mark Batterson in his book, The Circle Maker, "Drawing prayer circles around our dreams isn't just a mechanism whereby we accomplish great things for God. It's a mechanism whereby God accomplishes great things in us." Do you ever sense that there's far more to prayer, and to God's vision for your life, than what you're experiencing? It's time you learned from the legend of Honi the Circle Maker--a man bold enough to draw a circle in the sand and not budge from inside it until God answered his prayers for his people. What impossibly big dream is God calling you to draw a prayer circle around? Sharing inspiring stories from his own experiences as a circle maker, Mark Batterson will help you uncover your heart's deepest desires and God-given dreams and unleash them through the kind of audacious prayer that God delights to answer.